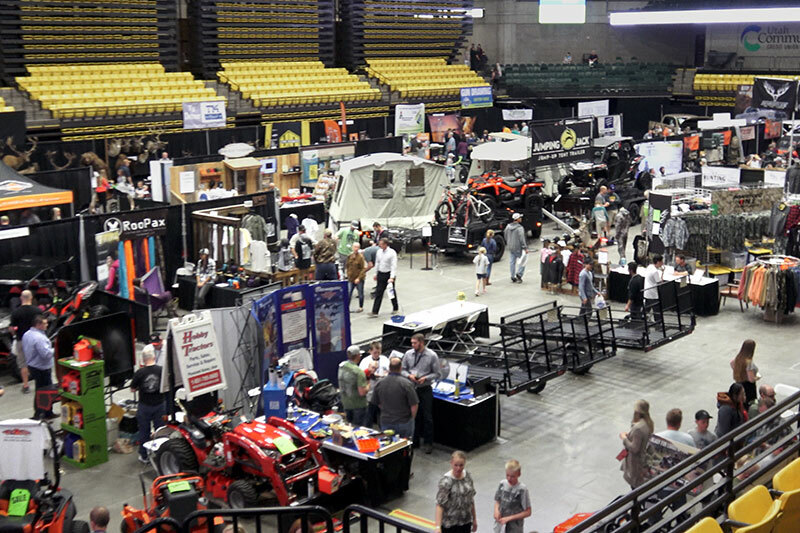 The Big Outdoors Expo is happy to announce its 5th annual show, at the UCCU Center at UVU in Orem. This year our event is sure to be the BEST yet with even more to offer our vendors and attendees! We've had some great feedback from our previous years and look forward to putting on the best expo yet! There will be new improvements to the floor plan, vendor choices & benefits, new marketing campaigns to increase attendance, and much more! Perhaps the biggest news is big discounts are available for booths if you register early. We are already starting to receive early registrations, so we decided to open up the floodgates and get all booths filled earlier this year. So what that means to you is steep discounts if you act early, as in now! Click the button below or call today to get registered now and take advantage of the early bird pricing. We heard from so many last year that they loved the vendor dinner on Friday night. Because of the late closing time on Friday night we will be providing 2 dinner vouchers to be used between 6pm and 7pm for each booth space purchased. More details to come but it will be delicious and you will won't have to wait until later to eat! We are excited to see you back in 2019 for the best expo yet!